Fiona Basson sits slumped in the passenger seat as Fanny negotiates the track leading to Rolbos, her face buried in her hands. Before 1994 the road had been maintained in a relatively good condition, but now the ruts and potholes combine to force vehicles to slow down an impatient crawl. Vrede is one of those dogs. It’s been his life, you see? Before he ended up in Rolbos, he was an important link in the fight against drugs and crime. That’s before he realised how crooked the system was. Now, although he retains the skills, he abhors the system. 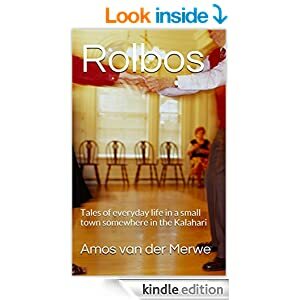 Sure, he loves the life in Rolbos – it’s so simple, straightforward, uncomplicated. But an old dog doesn’t unlearn old habits…nor the lessons learnt in the past. 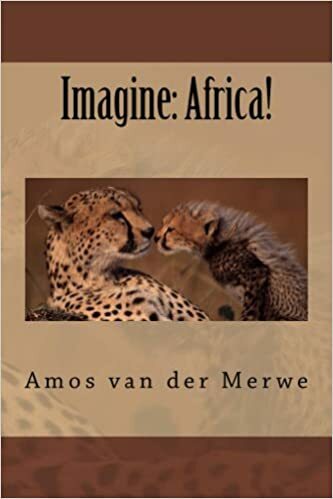 When Fanny gets out of the vehicle to jog around to open the passenger door, Vrede looks up, ears vertical, nose sniffing the scent of fear and uncertainty. This is the most common human scent. In fact, it is the first thing his nose recognised when he was still a puppy. Humans, he eventually understood, were habitually under stress. Rejection, mostly. Humans feared rejection. Vrede doesn’t understand this. Whenever he meets other dogs, they sniff, prance and parade about a bit – just to get to know each other a little better. If you don’t like the new face, you raise a few neck hairs, strutt with stiff legs and lift an upper lip. The alternative is to start biting away, which is bound to be painful and rather unnecessary. Most dogs, Vrede will tell you, prefer to avoid painful confrontations – is so stupid. But when Fiona Basson alights from the vehicle, Vrede knows. The heavy sense of despair wafts around the woman like a dense cloud, carrying the message of hopeless depression. She is, Vrede realises, lost in a dark, lonely world where joy and beauty died a long time ago. He wags his tail to tell her not to worry, he’s just the town-dog; the friendly protector of the weak. He likes to think of himself as the people’s keeper; the faithful one; the wet nose with the caring eyes. “Arf,” he says softly in what he assumes is a friendly manner. Fiona Basson – already a picture of hesitant uncertainty – freezes next to Fanny’s car, staring at the dog. “Arf, arf,” he tries again before lowering his body to the ground. Then, in a move his trainers would have been proud of, he leopard-crawls towards her. He wants her to know he’s her best friend – in her whole, wide, empty world. Look, he’s saying, I’m not judging you. Im not here to criticize or reject you. I’m just me, Vrede, and I’ve been given a really apt name by the kind folks of the town. Oh, by the way, you didn’t happen to bring along a bit of biltong, did you? The townsfolk watch in amazement as Fiona bends down to pat the panting head. Is that a smile hovering on her lips? A smile? Gertruida – because she knows everything – motions the group back to the bar with a commanding whisper. Wait…there’s something else – something subtle, hidden below the fear and the loneliness. Sniff. Sniff-sniff. Yes, it’s there, all too clear to ignore. Guilt. Tons and tons of guilt in her scent. I wonder why? Fiona accepts the hat and the chair without acknowledging them. Gertruida wonders whether she even noticed it. Arf? What is it with this woman? I’m not used to this smell any more. Way back then…yes, it was common. But here in Rolbos I’ve almost forgotten what guilt smells like. Except on Sundays, of course. When Oudoom puts on the strange black coat and starts talking from the platform in front of the church, I always detect a bit of guilt…even self-pity. It isn’t overwhelming, though: mostly I smell hangovers and boredom. Hey, please don’t tell Oudoom this, will you? Whenever he feels unwanted, he smells of frustration. I don’t like that. Fiona reaches out to scratch a spot behind Vrede’s left ear. The dog smiles up at her and thumps his tail on the ground, raising a small cloud of dust. There. No, a little more towards the back. Yup, right there. Arf. Thank you, Sad Lady. That feels good. I wonder if you’d mind if I licked your hand? Just to show I like this? Some people don’t like licks. Mevrou scolds me when I try, but she’s just being herself, I suppose. She thinks I’m dirty or something. Gertruida once told her it’s my way of kissing, but Mevrou had such a creepy shudder and said she’d never allow even Oudoom to do something like that. Gertruida puts a reassuring hand on Mevrou’s shoulder. “Well, you guys can’t just sit here and spy on the poor woman. Let’s have something to drink, then we’ll figure out how to help Fiona break down a few walls.” Boggel places the small glasses on the counter. Then, after pouring generous helpings in each, her shuffles back to the store room. There’s a nice piece of biltong back there – one with a thick layer of fat on the side. He knows he shouldn’t spoil Vrede like this, but today that dog certainly deserves a treat. 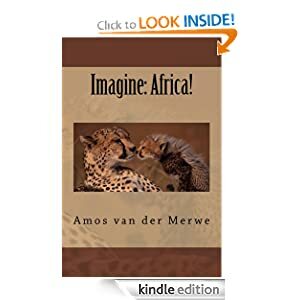 This entry was posted in short stories, smalltown short stories, Uncategorized and tagged comfort dog, fear, grief, guilt, love, opera, postaday, relationships, WPLongform on December 1, 2013 by Amos van der Merwe. “Now remember: his legs were amputated at 11 months of age. His parents divorced when he was six. To compete with normal kids was a natural instinct and he showed athletic promise early. He boxed, wrestled and played cricket. One can assume his disability served to encourage him to prove himself. “Now, psychologists will tell you this is more common than you’d like to think. Many disabled people find a way to the top by sheer grit and determination. Part of the picture is overcoming insecurity. You have to accept who and what you are, and then find ways to compensate for the specific handicap you have. Combine a genetic disorder, an unhappy childhood and obvious physical deformity, and there are a thousand reasons why somebody might just give up and allow life to sweep them along. But not this chap. He used his heartaches to be the fuel in the furnace to build up steam. 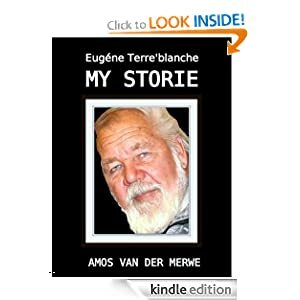 He was going places – despite what Life dished out to him. “You’re still assuming things you have no right to.” Servaas can be extremely obstinate. “Okay.” Gertruida sighs. “Let’s assume then. Let’s assume we have to do with a fragile personality that’s used to losing the most important people in his life. He has achieved the impossible on the athletic track. Lets assume he’s looking ahead at the future, and will lay down his life to protect the love he’s discovered. And lets assume he picked up the gun, just like he said, to protect the woman in his bed. “Sure, Servaas. We have the luxury of thinking and analysing and being terribly clever. People around the world have mulled over this for endless hours. “But he didn’t have the time. He acted. He got out of the starting blocks so fast, he completely forgot to check the basics. And he made the most disastrous mistake of all. Why? I’ll tell you why. I’m assuming it was a subconscious, automatic action to protect his love. He panicked. His thought processes stalled. He became the caveman, protecting his possessions. He stormed the lion with a club and wrecked his life. “Sadly, no. He’ll have to face the wrath of the law for that. You can’t kill somebody and then argue innocence. All I’m trying to do, is to understand, that’s all. “What I don’t understand, is the public outcry. If this was just another horrible mistake or some family tragedy, CNN and BBC and Sky wouldn’t have bothered. But because of the man he is, and because of the woman she was, it has become world news. “Look, Servaas, you’ve made up your mind. It’s your right to do so. I’m just saying Oscar isn’t the only disabled person in the accused dock right now. We – all of us – are suffering from a variety disabilities right now. We don’t know enough. We can’t see the suffering of the two families. We don’t want to hear any other explanations. And we avoid feeling the pain of those directly involved in the tragedy. 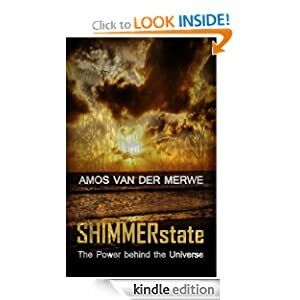 This entry was posted in smalltown short stories and tagged guilt, loss, mental-health, oscar pistorius, panic, psychology on February 24, 2013 by Amos van der Merwe.